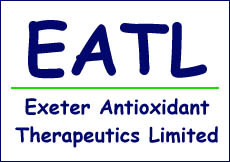 Exeter Antioxidant Therapeutics Ltd. is a young, dynamic company established to further the development of therapeutic catalysts in the treatment of oxidative stress diseases (e.g. cancer, inflammatory, infectious and neurological diseases). EATL understands itself as an 'idea factory' that designs, develops and tests novel approaches in the field of biomedical chemistry. It benefits from an extensive research track record of its research scientists. The Company’s current aim is to design catalytic compounds for therapeutic purposes. These drugs can be administered in smaller amounts, with fewer by-products produced, less side effects while maintaining higher efficiency. Importantly, drug resistance will not developed. A further exciting advantage of catalysts is that they are "switched on" by the conditions within the cell. In an unhealthy cell, such as in cancer, the redox balance is disturbed, which means that the compound becomes active, and destroys the abnormal cell while leaving healthy cells intact. EATL has already filed several patents in this and related areas of research. For information about these patents and opportunities to join forces with EATL contact Dr. Fiona Fry at F.H.Fry@ex.ac.uk, Tel. : 01392 263462.
since they are able to recognise the biochemical signature of certain tumour cells. 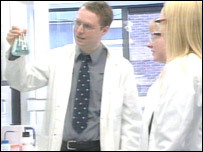 "This new approach might allow us to single out sick cells and kill them"
Enquires into our Company are always welcome. Briefing documents can be provided on request.